Coldplay's new album La Vida Loca or whatever the hell is streaming free and legally at IHeartMusic.com. Thanks, 'gum. I'm actually pretty interested in spending time with this one. 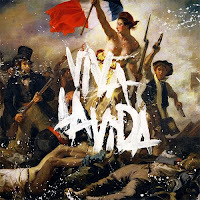 Viva La Vida comes out June 17.